What exactly is a dumpling? There are way too many variations for me to share them all here, so I recommend checking out the Wikipedia page that gives a great overview of dumplings and their origins. I will share a few kinds of dumplings that I have made, and the root of their inspiration. 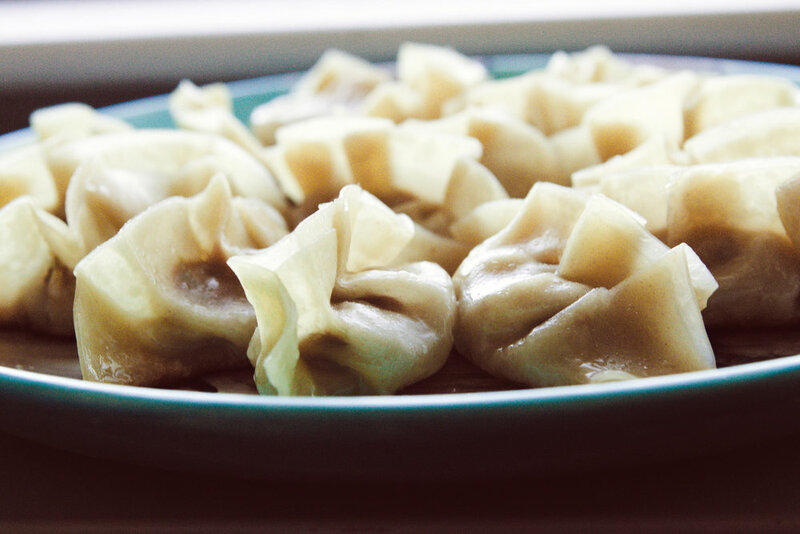 Not to be confused with Chicken AND Dumplings, these dumplings are derived from Jiaozi or Gyoza, as well as Mandu. Inspired by the idea of Chicken and Dumplings a friend of mine and I created these cornbread dumplings filled with pulled pork. While we didn't have these in mind, they have elements similar to an Empanada or even a Kroppkakor. These are one of my favorite treats I have ever come up with. Check out the recipe here. I am not sure what dumpling to compare this to, it is derived from me making strawberry and Nutella dumplings that are deep fried, that I decided to amp up by making the wrap out of cinnamon roll dough. If you have a good comparison, please let me know! I had a really spectacular dumpling in green curry at Marnee Thai in San Francisco which inspired me to try making my own version. Check out the recipe here.